Enjoy Utah! : Bella's Birthday Bash - FREE! 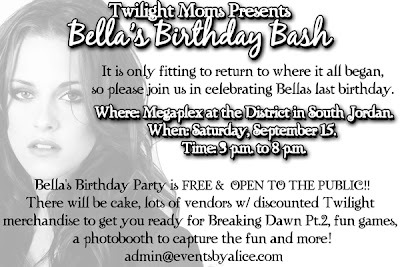 Bella's Birthday Bash - FREE! For all of you Twilight fans, there is an event coming up that's FREE and open to the public!